This Ortigas stalwart serves quintessentially Cantonese dishes with a commanding view of the city below. Considered one of the best Chinese restaurants in the capital, Lung Hin prides itself on doing a great job on such classics as dim sum and Peking duck. Must-try items include the steamed shrimp dumplings with gold leaf, and the deep-fried spareribs with black vinegar sauce. 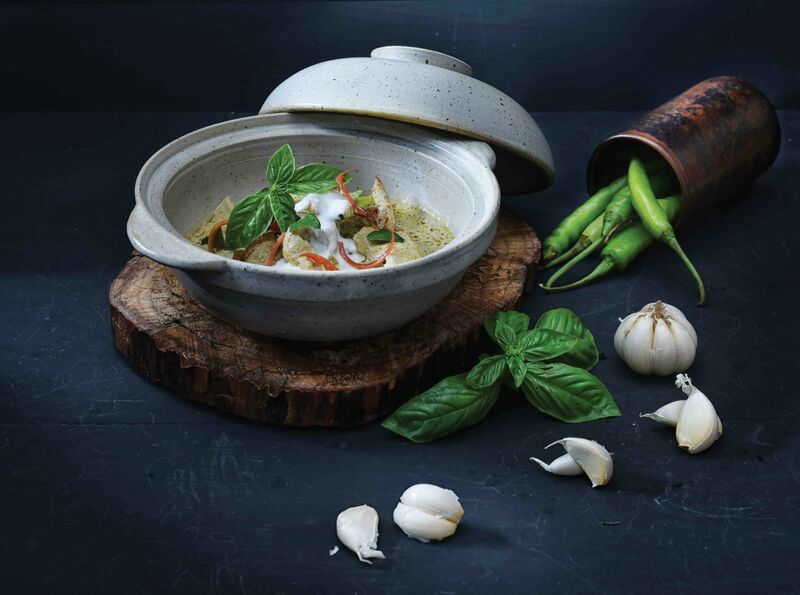 This recently renovated favourite continues to serve up delectable Thai specialities that call for only the freshest produce and most exotic spices. Start the meal with appetisers like tord man gung (prawn cakes with sweet chili sauce), por pia pak (vegetable spring rolls) or a just-pounded platter of som tam (green papaya salad). Delectable mains include rich Massaman beef curry and pla nung manao (steamed whole lapu-lapu with coriander and lime). Offering the robust cuisine of Provence, Mirèio has a variety of substantial dishes that are bound to satisfy even the heartiest appetites. Consider the deliciously piquant bouillabaisse served with housemade rouille; the rustic slow-braised oxtail parmentier served with an earthy truffle jus; and enjoy the fragrant and velvety lavender crème brûlée for dessert. Cucina Pop, or hip Italian cookery, is on the menu at Milanese chef Davide Oldani’s first Asian outpost. There’s his signature cippolla caramellata, where sweet caramelised onions are balanced by pungent Grana Padano cheese; and the Milanese D’O, a lighter take on traditional risotto Milanese. At this quaint Argentine parilla (grill), Chef Gastón Riveira grills up a fine selection of special beef cuts imported from Argentina, including succulent rib eye and tender striploin. At happy hour, there are crisp beef empanadas, creamy mollejas grilladas (veal sweetbreads), and robust chicharrones to go with a cold beer or a fine Malbec.